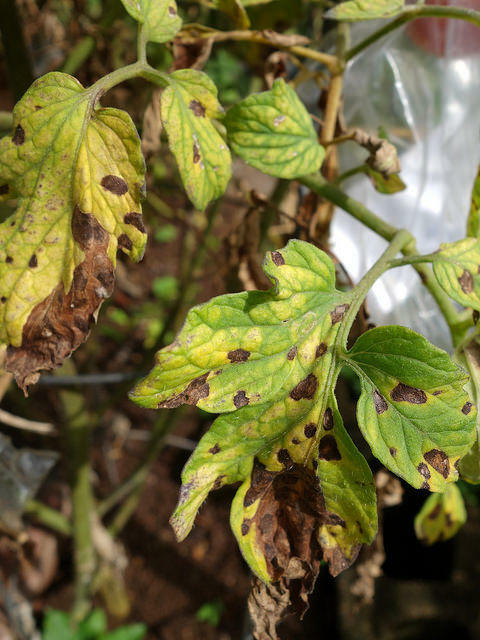 Septoria leaf spot can damper the tomato season. A tomato hornworm crawls on the plant for which it's named. 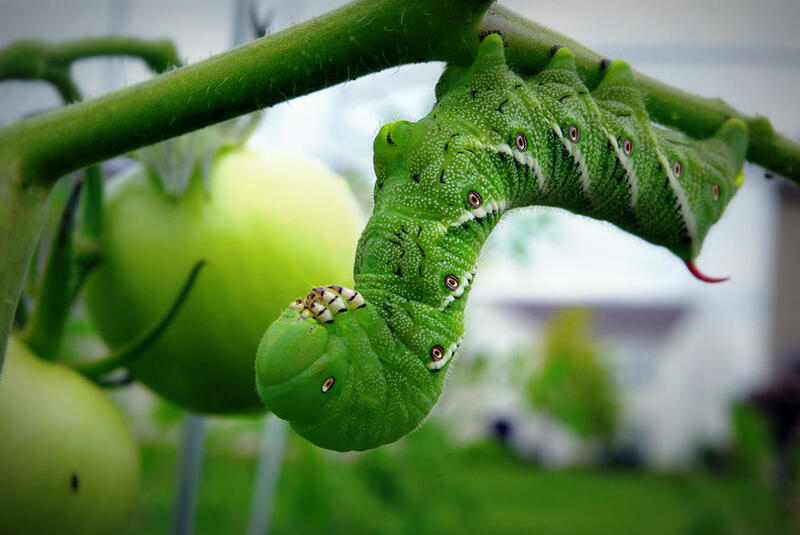 Some insects, such as tomato hornworms, can devour leaves. Tame these pests by picking them off and dropping them into a pail of soapy water or by spraying them with Bacillus thuringiensis. White flies are easy to kill with insecticidal soap. 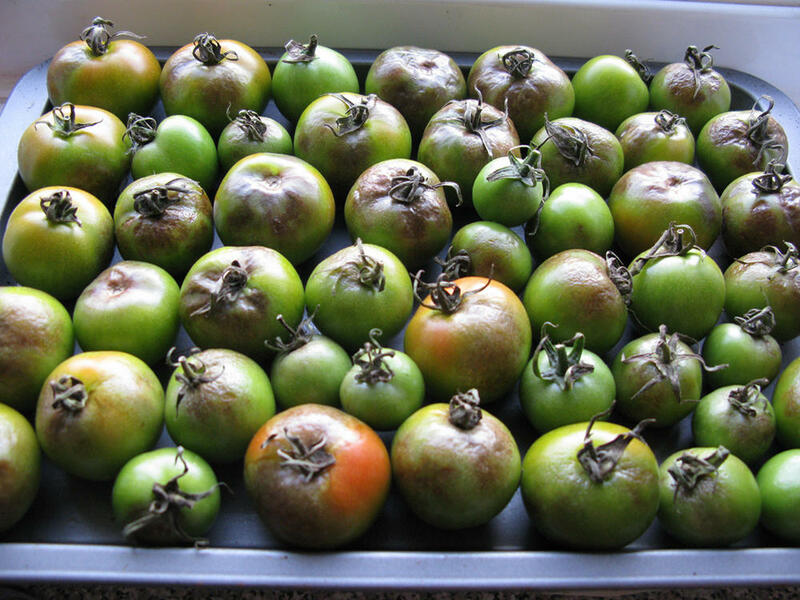 Blossom end rot is not a disease or insect, but a calcium deficiency caused by fluctuating soil moisture levels. Simply mulch, water regularly and blossom end rot goes away. 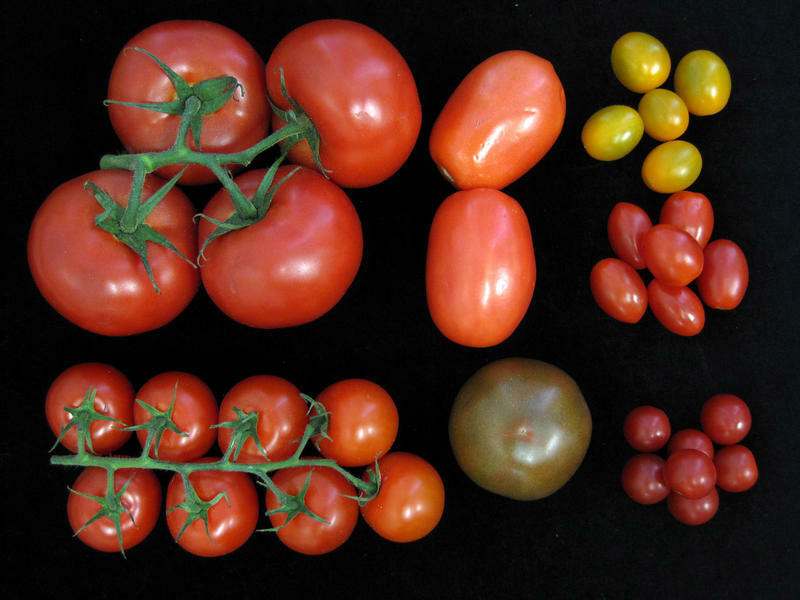 The biggest problem facing tomatoes is foliar diseases. They carry ominous names such as Septoria leaf spot, bacterial speck, early blight, and the dreaded late blight. 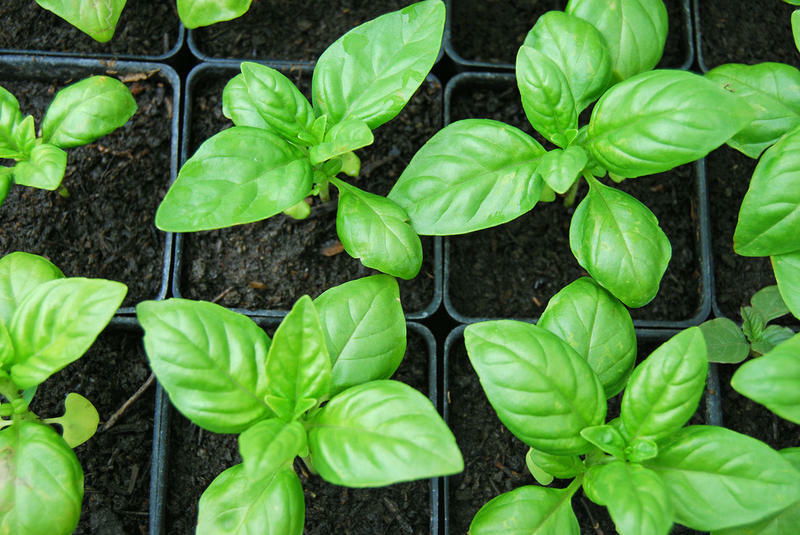 These diseases can quickly turn a dark green, leafy plant into a brown mess. First: mulch. 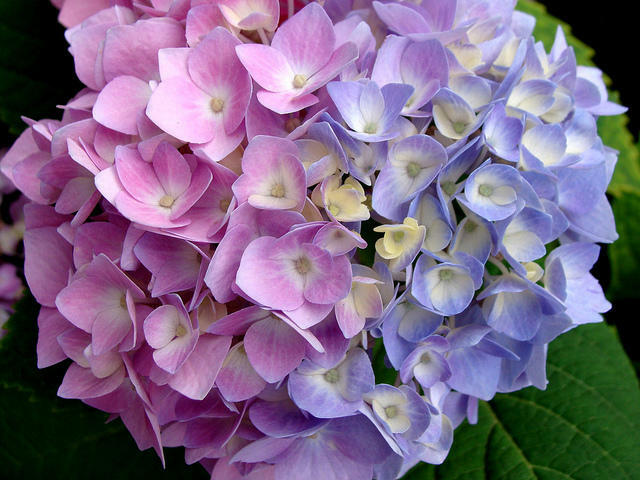 Many diseases are soil-borne, and during rain, disease spores can splash onto the bottom leaves and infect the plant. Mulch slows the onset of disease. Pick off spotted and yellowing leaves as they form. Compost these leaves, except for the late blight, which the whole plant should be bagged and removed. Spray organic fungicides, such as Serenade or copper, to slow the disease spread. Next year, grow disease resistant varieties, such as Defiant and Mountain Magic, and grow tomatoes in containers.